I know it's just a teeny bit late, but I wanted to mention all the great food I had during Charleston's Restaurant Week. 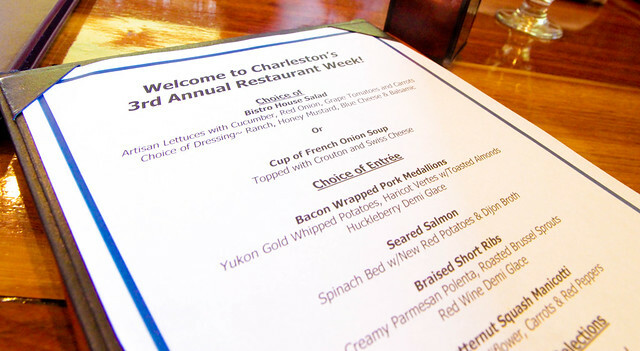 Held during the last week of January, Charleston really did Restaurant Week right. 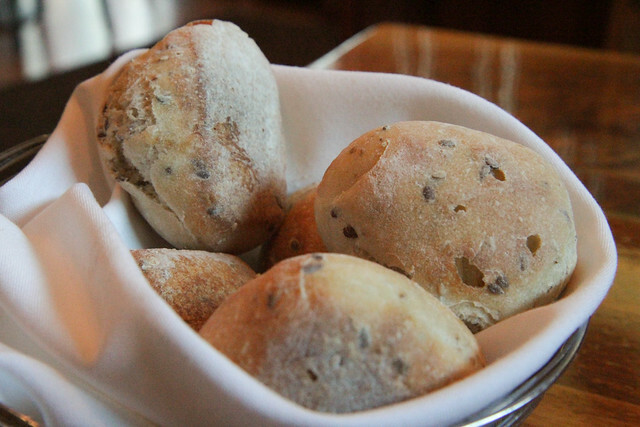 I went to three different restaurants this week in order to write something up for Taste! 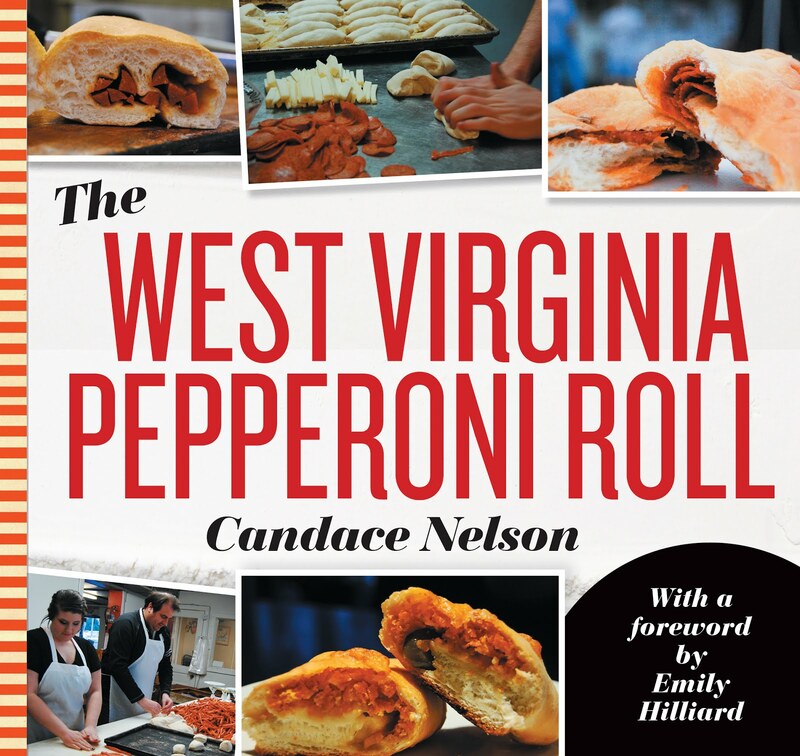 WV Magazine (I really should get on that...). Buzz Food Service organizes and sponsors the event, which featured 20 different restaurants offering a three-course meal for $30. Appetizer, entree and dessert for $30? Yes, yes and yes. During the first year, there were 8 restaurants, then 16 in the second year. And this year - 20! Tons of people go out to find new restaurants and revisit old favorites. Aladdin Restaurant, Bricks & Barrels, Dem 2 Brothers & A Grill, Fifth Quarter, Leonoro's, Su Tei, The Block, B&D Gastropub, Ichiban, Paternos - and so many more participated. The event resulted in half a million dollars in economic impact. So, where did I go? 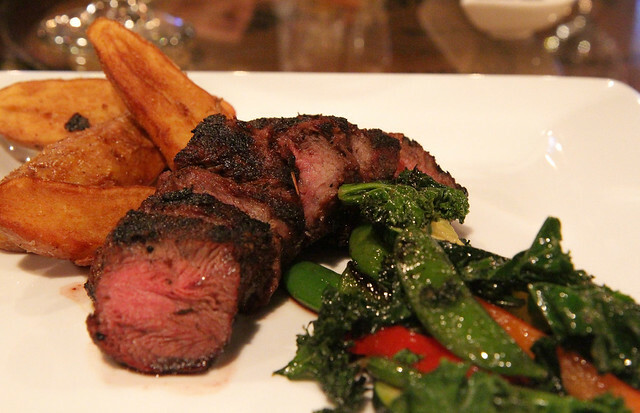 I went to Celsius with Veronica - my first time at the restaurant, so it'll get its own post. I also went to Bricks & Barrels with Veronica, which was pretty amazing. I started off with these small bite-sized crab cakes, which were fine. The entree, though, is what was the best part. 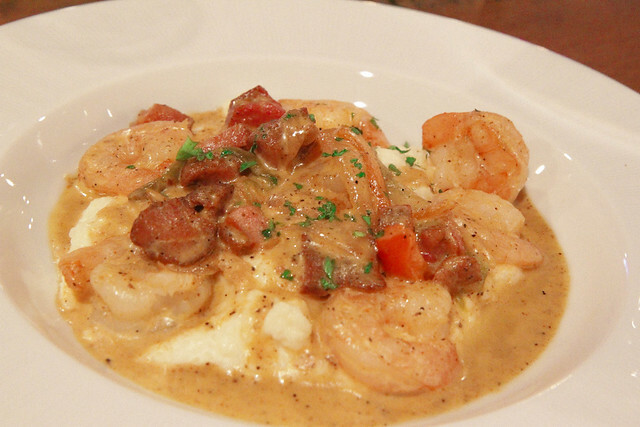 Their take on a shrimp and grits was creamy, tangy, smokey and all-around comforting. 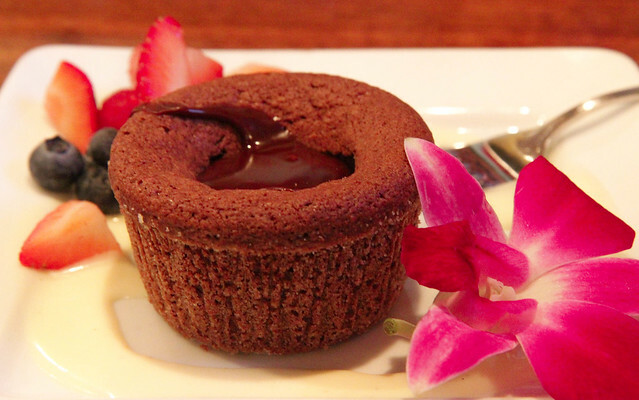 The flavors were balanced, the texture was varied, and the dish had soul. My friends opted for their steak and enjoyed it. 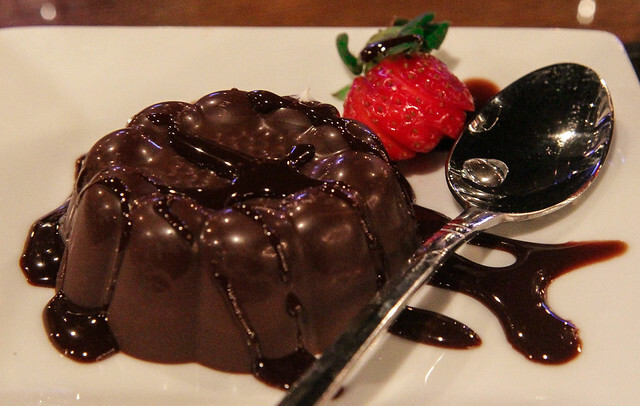 My dessert was their mini chocolate brick, which was this chocolate shell with cream inside. Not bad. The final restaurant I visited was Bridge Road Bistro. 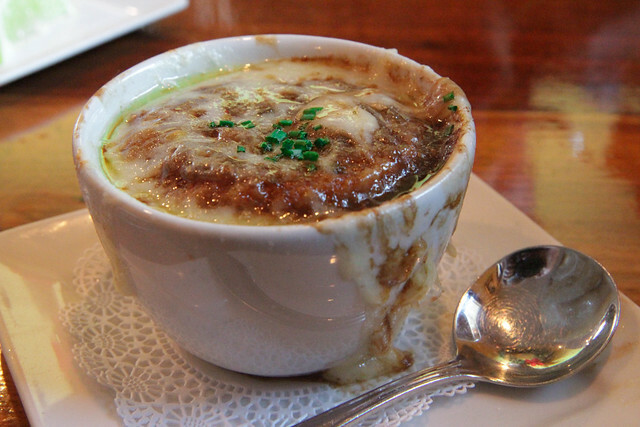 For starters, I had this French Onion Soup. It was pretty tasty. I love the croutons and Swiss cheese bubbling down the side. It's a very earthy sort of taste, but I'm into it. 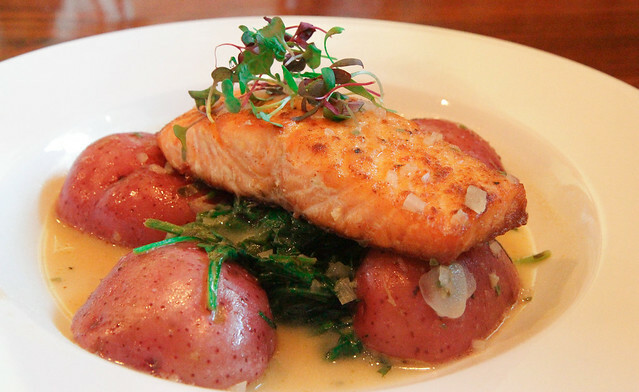 For entrees, my friend Maggie got a salmon with potatoes and greens. I went for the bacon-wrapped pork medallions with whipped potatoes, haricot verts with toasted almonds and a huckleberry demi glace. The pork was quite good, as were the potatoes. The sauce really was a nice complement to the meat. Nicely thought out dish. 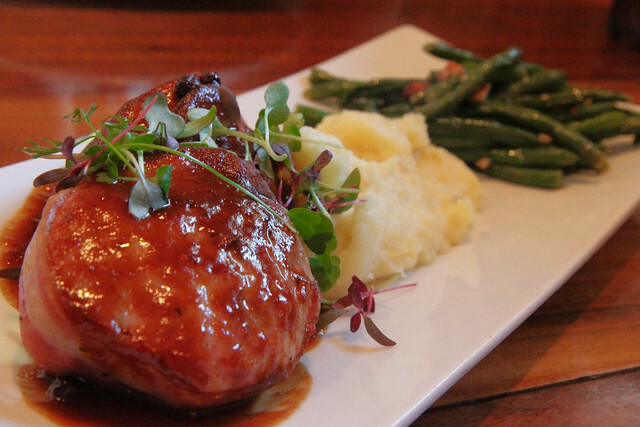 Bridge Road Bistro - Bacon-wrapped pork medallions with whipped potatoes and haricot verts with almonds. Dessert was creme caramel with fresh berries. Anything rich and creamy such as this has my vote. 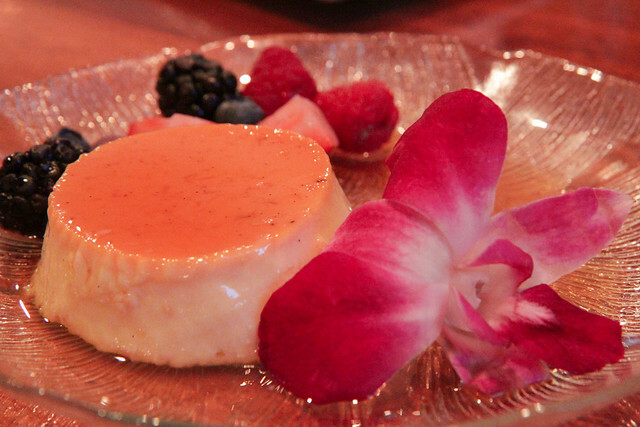 Bridge Road Bistro - Creme caramel with fresh berries. I love the cohesive, community-driven aspect of this weeklong event. I think it benefits so many areas - including the patrons who find new restaurants, the restaurants who get a bump during a slow time of year and the economy that sees so much more money. I'd love to see this implemented in even more areas throughout the state.